Cats love to sleep and are known for sleeping 12 to 16 hours throughout the day. But what about when us humans are safely tucked up in bed? 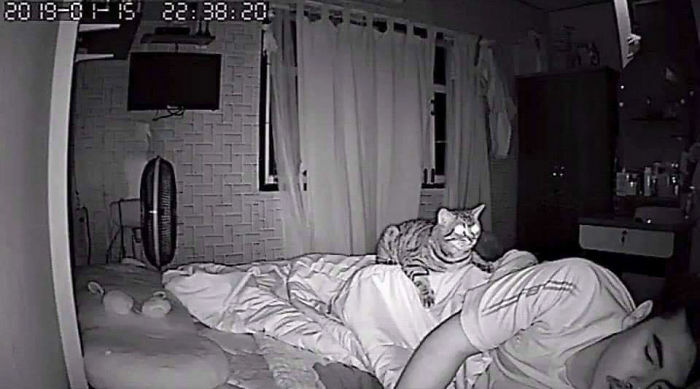 Cats are supposed to be nocturnal animals, so what do they get up to at night? 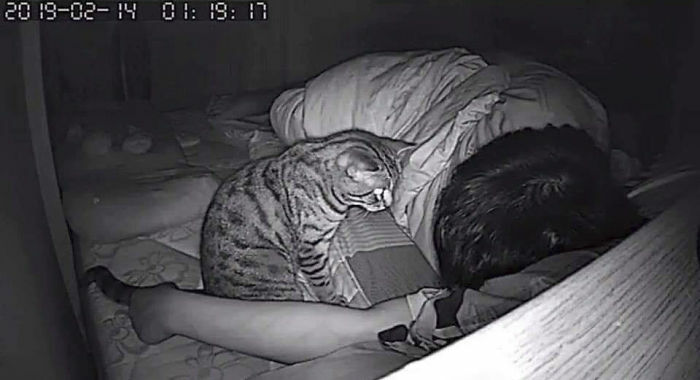 A cat lover in Thailand wanted to find out so he set up a camera to record his pet while he was sleep. 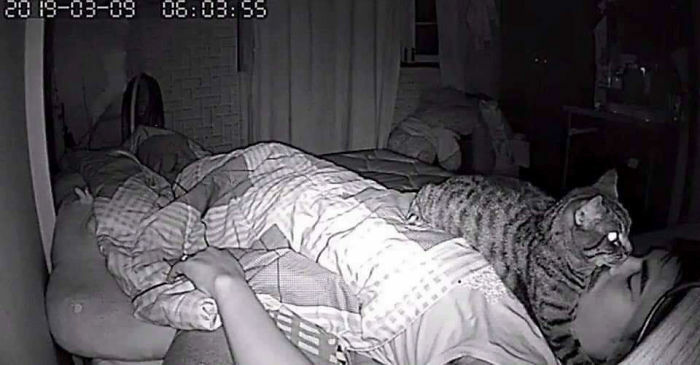 He was prepared to see some pretty strange activity but he never expected to see his kitty keeping watch over his sleeping body. As you can see he managed to catch some pretty purr-fect shots. 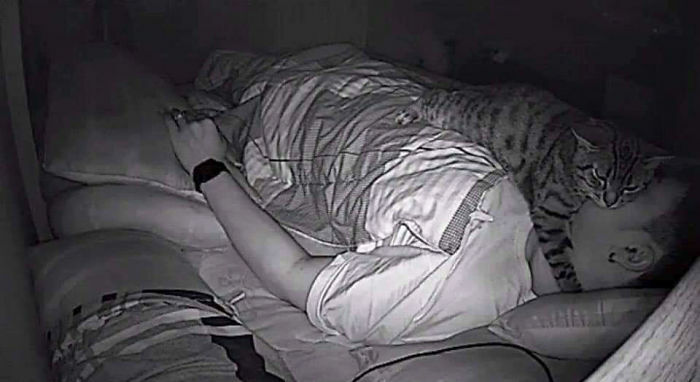 If your kitty is disrupting your sleep there are few things you can try to get them onto the same sleep pattern as you. 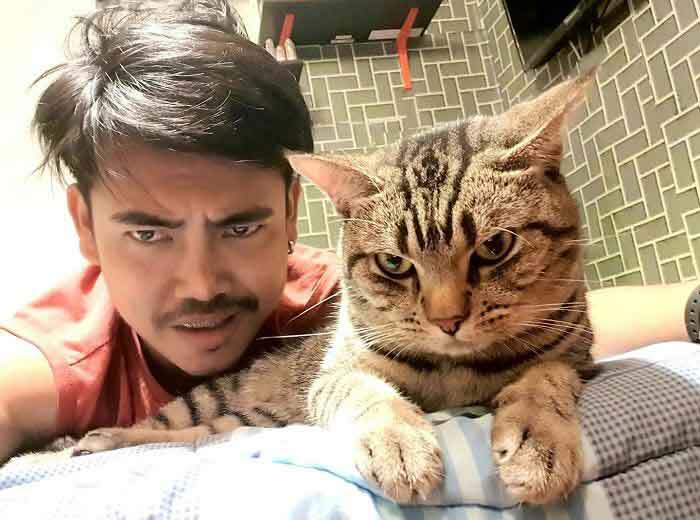 Try to tire out your cat by having play sessions in the evening and feeding them just before bedtime, cats tend to sleep after eating a big meal. 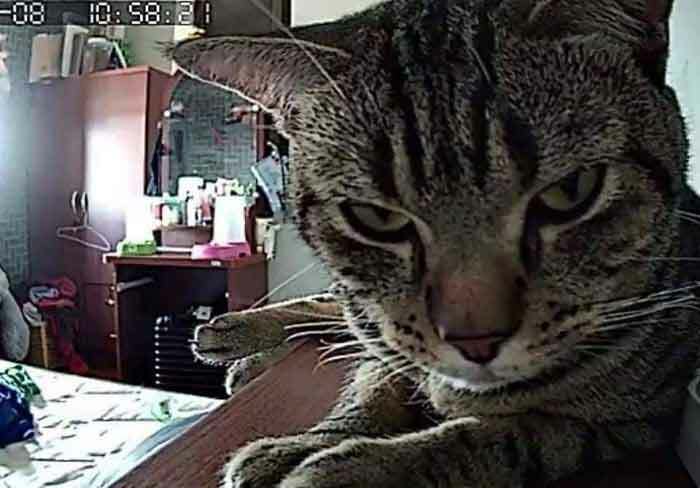 The best remedy for all is to keep them locked out of the bedroom at night – after all, I’m sure waking up in the middle of the night with your kitty staring at you like this one could be very disconcerting! 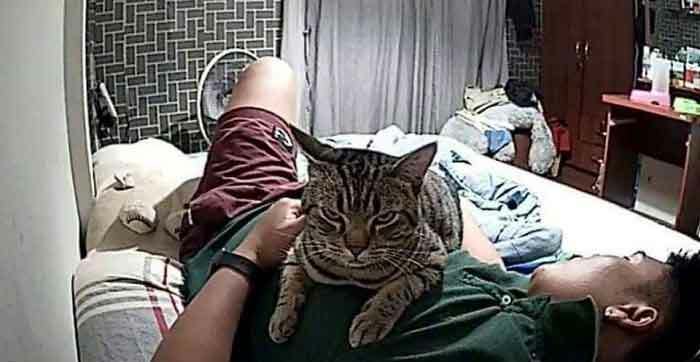 Click here to meet a cat that visits his neighbour while his owner is at work on the night shift!